Less than 200 mg of caffeine (1 or 2 cups of coffee) can make you more alert and less tired, increase your ability to do physical work and improve your thinking. Small amounts of caffeine can also cause an increase in blood pressure and urination. Some people may develop a rapid and irregular heartbeat after consuming larger amounts of caffeine. More than 500 mg of caffeine (5 to 6 cups of coffee) can make you feel irritable, restless and nervous. You may also experience tremors, insomnia and occasionally, a mild form of delirium. When taken before bed, caffeine may interfere with your sleep. Drinking coffee or tea during or after meals decreases iron absorption. If you need to take iron, you should consider avoiding caffeine at mealtimes. People who suffer from panic attacks should avoid large amounts of caffeine as it can trigger nervousness and anxiety. Death from a caffeine overdose is very rare. You would have to inject at least 3,000 mg of caffeine or swallow more than 5,000 mg. However, much lower doses of caffeine can cause death in children. Caffeine can be useful in treating some types of headaches, including migraines. Your doctor can tell you if caffeine would be a good way for you to get rid of a headache. Caffeine should not be used for dieting as it will not suppress your appetite. Caffeine does not help drunk people to sober up. Daily use of low to moderate amounts of caffeine (1 to 3 cups of coffee) by healthy adults does not appear to cause any bad effects. Larger doses may have short-term effects such as those listed above or long-term effects such as chronic insomnia, constant anxiety and depression, and stomach ulcers. 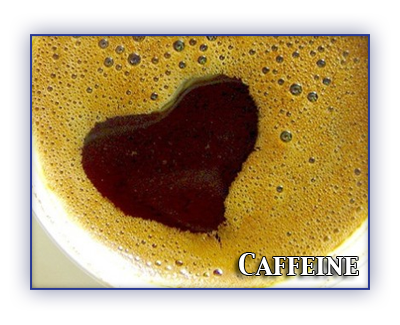 There is some evidence that consumption of more than 300 mg of caffeine (i.e. about 3 cups of coffee) in a day is associated with miscarriages and low birth weight babies. Women should consider limiting or eliminating caffeine intake while pregnant. As your body gets used to caffeine, it needs more and more of it to get the same effect. As the amount of caffeine increases, so does the risk of side effects. You can become mildly dependent on caffeine from regularly consuming fairly high daily doses (about 4 cups of coffee). If you suddenly stop consuming caffeine you may experience withdrawal symptoms such as headaches and sleep problems. You may also feel irritable, tired and depressed. Withdrawal symptoms begin 12 to 24 hours after you stop consuming caffeine. Most symptoms will pass within a few days.